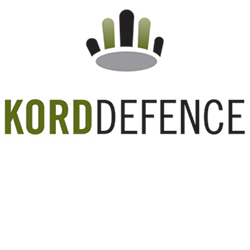 Kord Defence is primarily an R&D company specialising in innovative centralised control technologies and is considered a world leader in this field. In the Defence environment, this has resulted in the development of Rifle Input Control (RIC) technology. A RIC provides soldiers with a reliable, fast and safe way of controlling their communications, sensors and battlefield information according to the mantra “head up, eyes on task, hand on weapon”. Kord’s core technology is unique. Kord leads the world in push-button control systems and were the first company to produce a weapon-mounted centralised controller that addresses the “head up, eyes on task, hand on weapon” mantra for the combat soldier as articulated on many occasion by the Chief of Army. A market survey undertaken by the USMC in 2016 did not identify any similar or competing technologies and Kord RIC technology provides soldiers with capabilities currently unavailable from any other source.